Ingredients: ETHYL ACETATE . BUTYL ACETATE . ISOPROPYL ALCOHOL . ADIPIC ACID/NEOPENTYL GLYCOL/ TRIMELLITIC ANHYDRIDE COPOLYMER . NITROCELLULOSE . TRIPHENYL PHOSPHATE . TRIMETHYL PENTANYL DIISOBUTYRATE . STEARALKONIUM BENTONITE . DIACETONE ALCOHOL . STEARALKONIUM HECTORITE . TOSYLAMIDE / EPOXY RESIN . SUCROSE ACETATE ISOBUTYRATE . BENZOPHENONE-1 . CITRIC ACID . ACETONE . DIMETHICONE . BIOTIN . AUCOUMEA KLAINEANA RESIN EXTRACT . CAMELLIA OLEIFERA LEAF EXTRACT . CARTHAMUS TINCTORIUS (SAFFLOWER) SEED OIL . OENOTHERA BUENNIS (EVENING PRIMROSE) FLOWER EXTRACT . HYDROLYZED CORN/SOY/WHEAT PROTEIN THIOGLYCOLAMIDE/THIOPROPIONAMIDE . PLATINUM POWDER . GLYCIDOXYPROPYL TRIMETHOXYSILANE / METHACRYLOYL PROPYLTRIMETHOXYSILANE / METHYLTRIETHOXYSILANE / MERCAPTOPROPYLTRIMETHOXYSILANE . METHYL METHACRYLATE CROSSPOLYMER . SILK POWDER . (+/-) (MAY CONTAIN / PEUT CONTENIR) : TITANIUM DIOXIDE [NANO] (CI 77891) . ALUMINUM POWDER (CI 77000) . IRON OXIDES (CI 77491) . YELLOW 5 LAKE (CI 19140) . Great contemporary, neutral shade. Completely converted to this brand for nails. 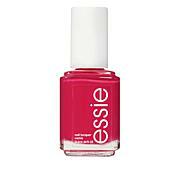 Easy to use and lasts easily for a week with Deborah Lippmann Base and Top coats. 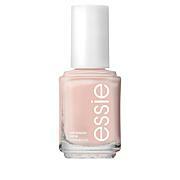 The color is soooo pretty.Will match with any ring you decide to wear.That actually matters to me...lol A soft neutral shade. This is my all time favorite nail polish, just enough sparkle perfect grayish color, it lasts 1 week. I recently purchased this color, which has a beautiful depth and dimension. I also bought the color Get Lucky. With Lippman gel lab pro base and top coats, this polish system is the best I've ever used. It lasts, chip-free, on my nails for at least a week. The shine stays glossy. Every few days I apply the top coat. I want this in every color but mainly I want MORE COLORS! Deborah I hope you read this review. Please make more colors for fall- maybe a deep purple, a juicy berry, a deep golden brown with shimmer. Thank you for bringing us this high quality alternative to salon gel nails. I thought that I had finally found an answer to the quick chipping of regular polish, however this nail polish was a disappointment. When first applied, it appeared that it was going to last, but within three days it had already started to chip despite my carefully following the application directions and using the gel pro base and top coats. It also is too pale for my light skin tone and was not a flattering color for me. I am sending this back and going back to regular polish.